Ray Wilson’s career cannot be described in two words. He had enormous success, fell, had streaks of luck and lots of bad luck as well. His career took many turns that he could not influence. People tripped him up far too often, but Ray always stood back up. It is therefore just normal that he says – okay, this is me and this is what I want to do and nothing else. Everything else is not of primary concern. Now he releases his first real solo album on InsideOut. Change comes in two different versions. There is a 16 song digipak and a standard jewelcase edition with thirteen songs. That sounds like lots of music. If you look closer you still only get some fourty minutes of music, and one of the songs was already released on the CUT album (albeit in a different version). The special edition offers therefore far more music, but there is another ‘old’ song on it, too. Fans remember Dark as the B-side of Cut, the single that wasn’t: Neither single that Dark was to back was released. It was, however, put out on various promos. The special edition adds Gouranga, the Change B-side, and another new song called Cool Water. 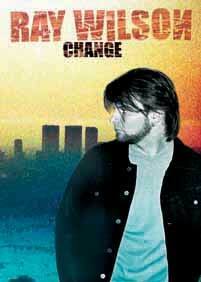 The cover reads “Don’t think that I can change”. 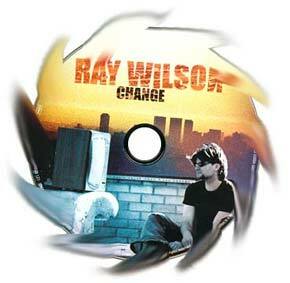 But what Ray does is changing towards his own personal reality. He cannot be the singer who for one album was the singer for one of the world’s greatest rock bands anymore. Neither does he want to. Pure music is the motto, he wants to be close to the people who enjoy his music. That’s how the Storytellers tour came about. The acoustic sound strongly influences his solo debut. Many people expected Ray to really crank up the power; they were expecting something along the lines of Gypsy or No Place For A Loser. What Ray presents on this release, however, is much closer to the Mechanics than to Cut or Stiltskin. Many of the songs were already performed on the Storytellers tour. It comes as a surprise that Gouranga is not on the regular album version because Ray always played it and hinted that this song would be on the album. Change leaves a relaxed impression. The lightness of the sound is remarkable. Ray made sure that the space in the musical structures is not stuffed with heavy-duty sounds from the keyboard or the guitar. The central point on the album is Ray’s voice, this secret mixture of numerous rock legends like Michael Stipe, Bono and Peter Gabriel. The beginning is called Intro. Everyone can figure what it is. Nothing spectacular, but it sets the mood for the album. The second song, Goodbye Baby Blue has a typical song format. It’s an average pop song that, like the whole album, comes without artificial sounds. The title song was released as the first single and it sticks in one’s ear. No wonder that Change gets so much airplay. This catchy song has a great melody and it’s not overproduced. It reminds of the Mechanics’ output. Along The Way was written by Ray’s brother Steve. This track consolidates the impression that Ray knows what he does: Change is a collection of good songs but by no means a prog rock concept album. Yesterday is no cover of the Beatles’ classic, but a fine acoustic song about the mistakes one makes in a relationship and the loss that follows it. Yesterday is one of the highlights on this album. So is the ethereal Beach which could well be the song of the album. It tells of two children who were killed on a beach. The outcome is a calm classy song and one could imagine Beach as (part of) a Genesis song. The next track was already in the set list of Ray’s acoustic tour. When he played Gelsenkirchen Ray was not sure if Cry If You Want To would be on the album. But the song grew during the tour and did end up on the album. It’s the first song to bring more power with it. About halfway through the song there begins a thicker carpet of sound, woven mainly by guitars. The song is about a failed relationship which still bothers the man because his former girl-friend still meddles in his life. The sound is rough and rather aggressive. That is also true for Beautiful Child which, however, is stuck somewhere between heaven and earth. It is a fine short song, but the “lala-lalala” at the end does not really fit in – at least it twists the mood of the song. Then there is another old friend from the last tour. Steve Wilson wrote She Fades Away, another song about a failed relationship. It is a short, unobtrusive but solid song. I Look For You There is almost too short to be good or bad or special, except for its length, of course. Ray has stressed in many interviews that he is a Bob Dylan fan. It is therefore no surprise that the numerous mouth organ bits in Believe remind one of Dylan. Believe is in the same league as Yesterday, though the melody is not quite as catchy. Then there is the re-recording of Another Day. It is more solemn and uses different instruments. A smooth transition takes us to the final song The Last Horizon wich occasionally quotes Another Day. The album ends in ethereal sounds. While Intro and The Last Horizon were intentionally written to represent the beginning and the end, the song sandwhich Change looks good. It is a comparatively short album, but the songs are pleasant with some real gems. Ray has left behind the bombastic sounds of Calling All Stations and of Millionairhead. The album reminds of the Banjo Man who just wants to bring his songs to the worlds. It also sound like a well-matured Guaranteed Pure album. The song is what’s important, the voice is the captain. And Ray does not steer a luxury yacht, but a classic sailing boat. The journey that is his debut album (which isn’t his real debut album) is short, but delightful.